A conversation with legendary broadcaster and author of a new thriller, PUTIN’S GAMBIT, Lou Dobbs, and a discussion on the mental and moral health of the United States with Michelle Deem, author of SAVING AMERICA’S GRACE, RETHINKING FAMILY VALUES, MORAL POLITICS, AND THE CULTURE WAR are the subject of The Halli Casser-Jayne Podcast. Broadcaster Lou Dobbs needs no introduction. 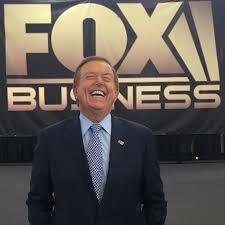 The anchor of Lou Dobbs Tonight on Fox Business Network Mr. Dobbs had previously anchored Lou Dobbs Tonight on CNN and is a respected voice on politics, economics, society and business. Dobbs was born in Texas and lived there and in Idaho during his childhood. After graduating from Harvard University, he worked in government and banking before becoming a news reporter for several local media outlets. He had worked with CNN since its founding in 1980, serving as a reporter and vice president. He was the host and managing editor for CNN’s Moneyline renamed Lou Dobbs Tonight. 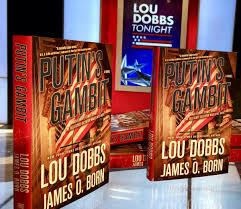 He formerly hosted a syndicated USRN radio show, Lou Dobbs Radio and has written several books since 2001.His latest is PUTIN’S GAMBIT a thriller in which a dangerous alliance has formed between Russian extremists and Radical Islamists who want to take over Europe. Morality? Politics? An oxymoron? 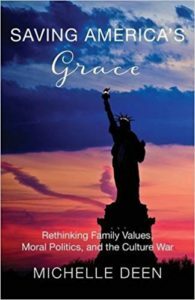 In her recently released book, SAVING AMERICA’S GRACE author and marriage and family therapist, Michelle Deen, lends her considerably effective voice to a discussion of morality in politics and culture and the search for a common ground in our deeply divided national political argument. According to Deem, politics and family dynamics are intertwined. Mapping out a blueprint for change, Deen challenges both the Left and the Right to jointly construct a new and clear moral objective to rebuild a national character that inspires and leads to an American culture that is smart, strong, compassionate, empathetic, and plays by rules that shed the paternalistic authoritarian, religiosity of the past that has divided our dysfunctional nation. Legendary broadcaster and author Lou Dobbs, moralist Michelle Deem, politics, Putin, Donald Trump, Republican, Democrat, the culture war, religion, family values — we have it all on The Halli Casser-Jayne Show. For more information visit Halli Casser-Jayne dot com. 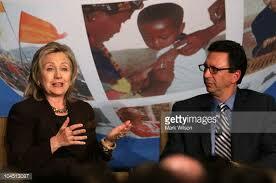 In the course of his storied career, Emmy Award-winning journalist Frank Sesno has interviewed heads of state including five U.S. Presidents and many other influential figures including Presidents Bush and Clinton, Bill Gates, Benjamin Netanyahu, Condoleezza Rice, Anderson Cooper, Karl Rove, Hillary Clinton, and Colin Powell. 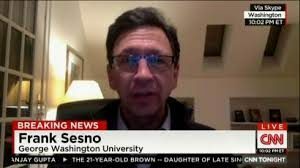 On Wednesday, January18, 3 pm ET, CNN’s former White House Correspondent, Frank Sesno, joins Halli at her table on The Halli Casser-Jayne Show for a wide-ranging conversation. Frank Sesno has asked a lot of questions. During his 17 years at CNN, Sesno served as news anchor, analyst and reporter. 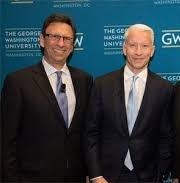 For seven years he hosted the network’s flagship weekend interview program, “Late Edition with Frank Sesno.” Besides political leaders Sesno has interviewed scientists, celebrities, and best-selling authors along with leaders from a wide range of industries. 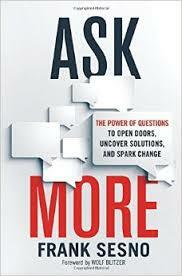 In his new book ASK MORE, THE POWER OF QUESTIONS TO OPEN DOORS, UNCOVER SOLUTIONS, AND SPARK CHANGE with a foreword by Wolf Blitzer, Sesno offers a guide to unlocking the power of inquiry that’s both intriguing and instructive by asking the right questions at the right time that will lead to success. Asking the right questions, politics, journalism in the age of Donald Trump, the early days of CNN, a conversation with journalist, author, educator Frank Sesno on The Halli Casser-Jayne Show posted Wednesday, January 18, 3 p.m. ET. For more information visit Halli Casser-Jayne dot com.